Survivors of severe trauma and abuse know sadness, I believe in a way that non-survivors never really can. Where is our comfort? Some days I feel like I am on the bottom of a very large body of water, and though I feel fortunate that I can see light on the surface, it can be extremely difficult if not impossible for me to ‘get up there’. I also find that I have emotion invested in many things that I don’t believe most people even notice. Destruction of the natural world as plants, animals and the soil is torn up for never ending so-called progress and development is a big one for me. I suspect this happens to me to a large extent because of my attachment and bonding to the pristine universe of the Alaskan wilderness I grew up with on our homestead. I haven’t been writing much lately because my relationship with words is very weak right now. Words seem mostly to belong to that surface place of light and not to the darker places deep within the large bodies of water or deep within the earth where my sadness seems to take me. But there is a story I discovered over a month ago that I want to post. I am going to share this story with you, written by someone else, because it is a story that resonated with two important states of my being. The one state, as I mentioned, is the sad one related to the places in my heart and soul that have been stretched and exercised by nearly unbelievable sadness from the 18 years of abuse I suffered from my mother and within my home of origin. This sadness is touched by suffering of others, and greatly by the silent suffering of the wondrous life of our planet that is so vulnerable to human caused destruction. The other state I want to mention must run a parallel course for me with this first one, but in some way it is its opposite. This second state is unfortunately often remote from me. Yet when this state is activated, I feel I have found something so beautiful that if I can find ways to keep this state close to me it helps me carry on in spite of the sad one. At this moment I don’t have a name, a word, for this second state, but perhaps by the end of this post I will. 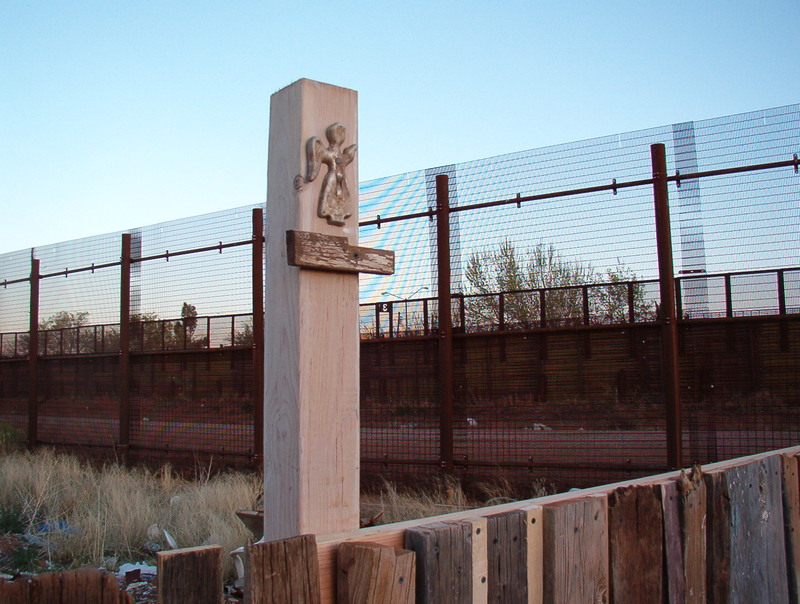 “The first Christmas known to be celebrated in Cochise County was on Dec 23, 1697 when Fr. Eusebio Francisco Kino, came north across the desert from Mexico and presented Coro, the chief of the Sobaipuri [soh-BY-per-ee or soh-by-poorh-ee] tribe of Indians who were then farming along our San Pedro River, a gift of 10 blue, grey, and black, needle-hoofed Andulusian breeding cattle. These tribesmen had long heard of the cattle the Spaniards had brought to the New World and they were so delighted with this gift they presented the priest with corn, dried squash, and epary beans from their gardens. These peaceful Indians (whose chief, Coro, wore three egret feathers in his headband as his badge of office) made a living from gardens cultivated with stone hoes and watered by small irrigation ditches from the San Pedro River. They wore homespun garments laboriously spun and woven from the wild cotton which still grows in this area. Outside of conflicts with the Apaches, who in the end wiped out the Sobaipuris, there seems to have been no meanness in these Indians at all. Strangely enough, they had some idea of the Christian faith and they told Fr. Kino the legend of La Senorieta Azul, one of the prettiest stories of the Southwest. A beautiful woman, dressed in a blue nun’s habit, came walking barefoot across the desert to them some 50 years before. She carried neither food nor water. She told the Indians of the Christian God and good luck always followed her several visits. The Indians said she told them about the precious Baby in the Manger who was born to bring peace into the world. At this time these people had never seen any Europeans. The only explanation ever given of the legend was made by Marie Coronel de Agdreda of Spain, head of a blue-robed order. Although believed to have never left Spain, she said she spent much of her time visiting the New Spain Indians who she was able to describe in minute detail. And on these supernatural visits she ministered to their spiritual needs. Fr. Kino, the missionary to the Indians, was not a Spaniard. He was an Italian, born in the Tyrolean Alps near Trent in 1644. He was not only a great missionary, but he was also responsible for introducing stock-raising to our area with his Christmas gift of cattle to the Indians. He was also a great explorer and cartographer. Sarah Grace Edgerton Bakarich McCool, 88, died Saturday, January 25, 1992 at her home, the Lazy Y-5 Ranch on Moson Road near Sierra Vista. Her weekly column, “Out of the Pat,” has appeared in The Bisbee Observer for nearly seven years. Mrs. McCool was born March 16, 1903 in Waterloo, Iowa to Frank and Etta Page. She came West in 1929 with her husband, Michael Bakarich, and three children to settle in Bisbee. 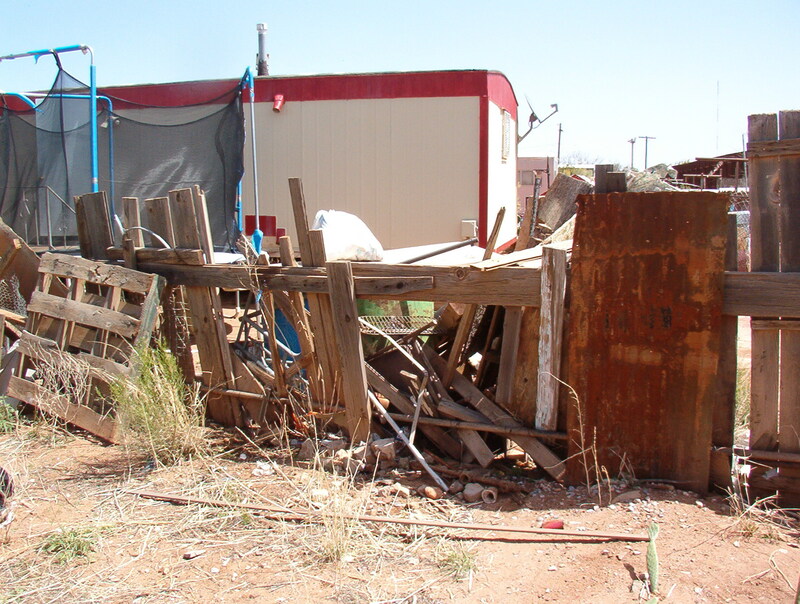 They later filed the last homestead claim in Cochise County – in Horsethief Draw, next to the Clanton Ranch. Much of the home building and daily chores at the Quarter Circle B Ranch, as it was known then, was done by her and the children since her husband worked in the mines. During those early years, she gave birth to five more children and taught school. In 1948 Michael Bakarich was killed in a mining accident, leaving her to raise eight children alone. At about that time, she began her career as a writer. Her interest in history and the pioneers had been fueled by her search for her great uncle Al “The Kansas Kid” George, who came west in 1878 with a cattle drive and mysteriously disappeared. She questioned many of the oldtimers and was rewarded with many tales worthy of recording. Her research led her to write her first western history article for the Chicago Tribune. She continued to write articles for the Bisbee Review, Douglas Dispatch, Tombstone Epitaph, Arizona Republic, Arizona Daily Star, and The Bisbee Observer. She eventually found her uncle buried in Boot Hill, Tombstone. He had been killed by Indians at the Black Diamond Mine. Mrs. McCool met her second husband, Dr. M.M. McCool while writing an article on his work as a soils analyst. They were married in 1950. Dr. McCool died in 1954. She continued to write and has published four books about the history of Cochise County and has had more than 1,500 articles printed in 16 different publications. She was also a licensed local preacher in the Methodist Church. I located the telephone number of one of her sons who still lives on the ranch and left several telephone messages about my interest in digitalizing his mother’s writings which are currently contained in two fat three-ring binders at the local Bisbee museum. My calls were never returned. I realize that what I strongly knew once I encountered a few of McCool’s stories in the 1985 editions of The Bisbee Observer is that she writes in the oral tradition. She is a storyteller. My sense of her writing style was confirmed when I read her obituary. I traveled to the amazing and beautiful Amarind Foundation’s museum last week when my brother was visiting, seeking to discover if McCool had utilized their resources for this article. I don’t think she did. I have asked around locally and cannot find a single person who knew her or anyone who seems even remotely interested in putting a collection of her stories into a format that will help insure they continue to be preserved – and appreciated. 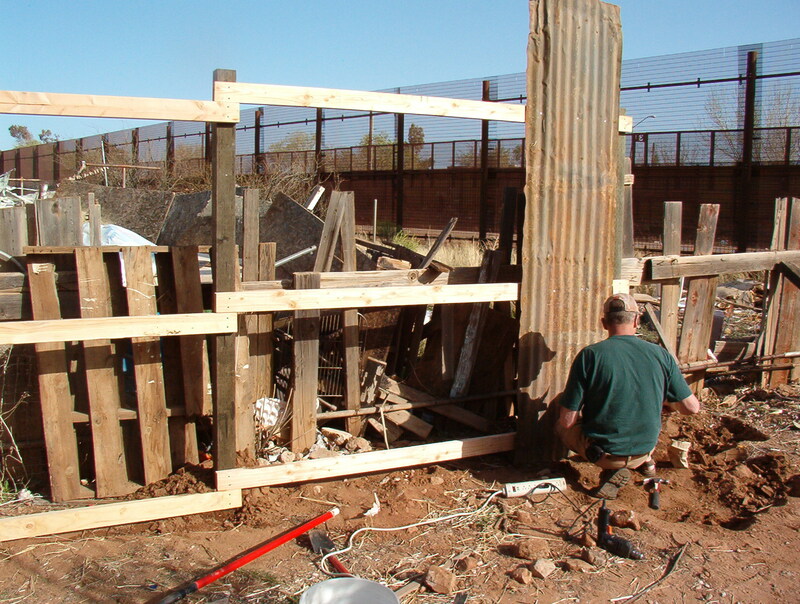 I am considering contacting the University of Arizona to see if they have any interest in this project. McCool’s writings are not necessarily historically accurate. She wrote stories based on history of the southwest whose facts may or may not have validity. The oral tradition is actually a preliterate (not nonliterate) skill and gift more highly developed among some members of our species even today. Accuracy is not required for a story to be worth preserving, and this story of the Blue Robed Nun has survived – one way or another, one teller after another in the southwest desert regions for 350 years. This story captured my imagination and touched my heart. At first I thought about posting the story in connection to a topic on denial. I realize that as I read the story, as each word of the story unfolded to my eyes, I believed it absolutely, unequivocally, and without any tiny shred of doubt. I FELT the truth of it. I can’t say why that is true for me. I understand that no matter how profoundly true the entire story is to ME, it could also be as profoundly and entirely NOT TRUE for some other people. I think denial does operate in some similar way. Some people know something to be true while others know the opposite to be true. But this story is far too important to me personally to subject it to so limiting a topic as denial. This story is about me. 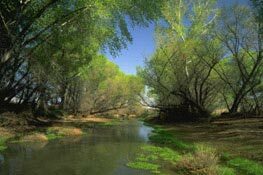 When my brother was here last week I convinced him to take a drive to find an approximate location along the San Pedro River not far from Tombstone that was a settlement over many hundreds of years to assorted and various groups of people. The San Pedro is protected as a National Riparian Area. Ancient groups and cultures found their homes along the shores of this north flowing river. How long ago the Sobaipuri lived there nobody actually knows for sure. But when my brother and I walked upon the rich soft soil that used to be the river’s bottom before the earthquake of 1887 drove the river mostly underground I could feel, through hundreds and hundreds of years of time, that ‘my people’ were near by. I felt comforted, so I guess this is the word I can use for my other (infrequent) state of being. Somehow knowing very clearly that these ancient people existed, that they lived peacefully and well growing food, weaving cloth, telling stories, working and walking along what are now high banks above the nearly vanished river, I felt connected because if I could miraculously be transported backward in time, well before the ravishes and violence that the Apaches brought with their raids and attacks and butchering, back to that place before these people were driven away so that I could live among them as one of them, I know I would be home in a way I NEVER am in this world around me today. 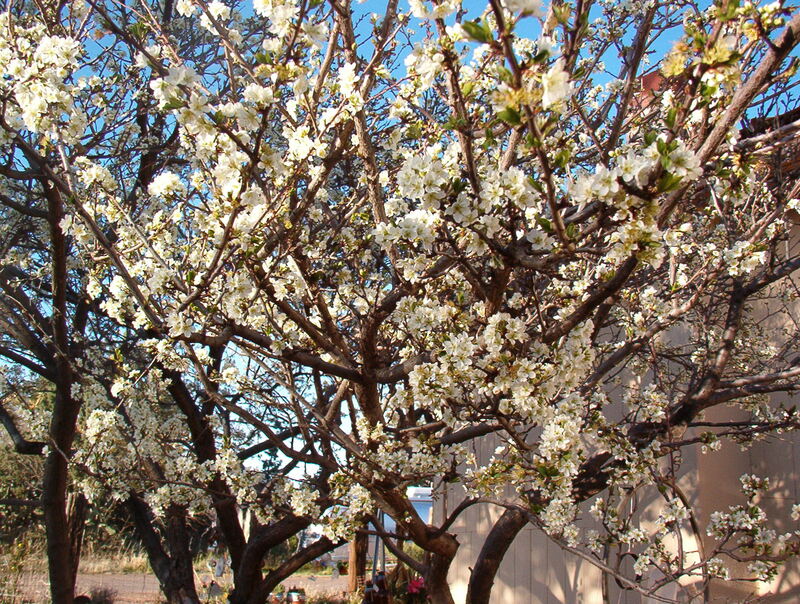 I felt comforted because for those few minutes I wandered among the tall grasses and between the bare dark branches of wizened desert trees not yet touched by the true warmth of spring, I actually felt that the problem, the trouble, is NOT ME. The problem is that I feel I have lost my people. My people, those people, lived too long ago and I live too recently. If I could go back to them, somehow travel back through 500 years so that I could pick the wild cotton with my sisters and spin it and weave strong soft cloth, if I could dig the sharp point of my ancient hoe into the fertile soil, care tenderly for irrigation channels so they could carry the mountain snow pure water runoff from the south into our gardens, I would not feel this sadness. I know this for myself just as surely as I know the story about the Blue Robed Nun is true. Unfortunately I have lost my mobility. My income is very low. My car is very old and wearing out. I cannot afford any extra costs for gas that might let me traverse this land in the protected places like I got to do last week with my brother. I know nobody to take me, nobody to go with me. But having placed my feet upon that soft soil and having walked silently where these ancient ones once lived I carry that memory now within me as closely as I do my own blood. 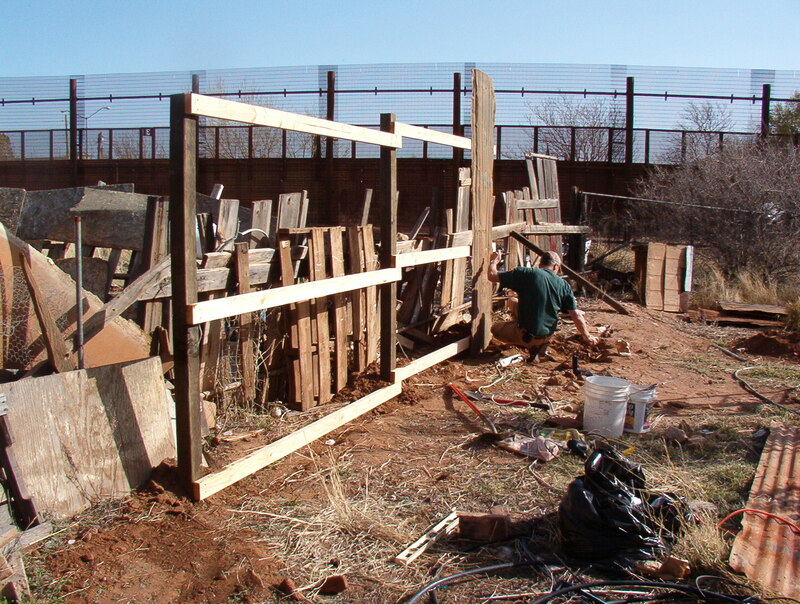 I spent the entire day outside working on the far southeast section of the fence I am building. All the face boards were in this section previously — really in a big heap! It felt good to work so hard today. Every emotion was circumvented in my focused determination to complete this project by sundown. Which I did – and here are the series of pictures from this project. 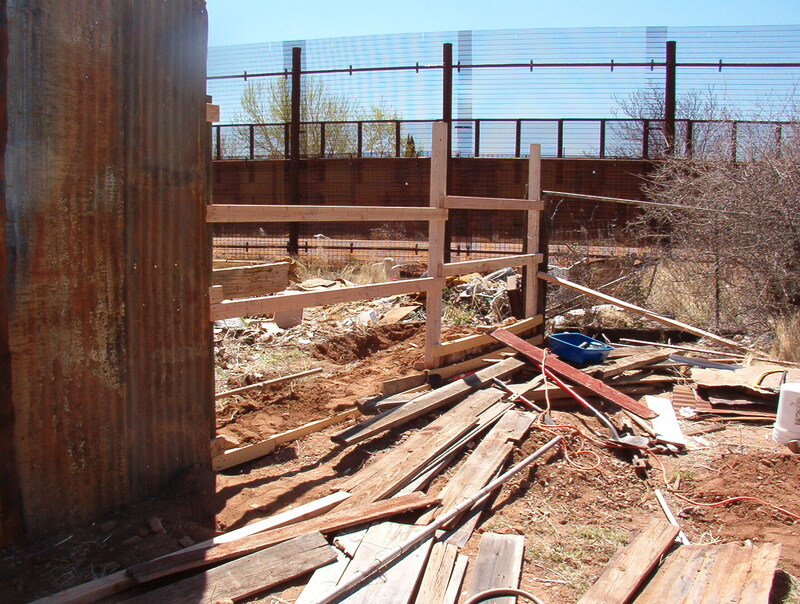 Again, those two walls behind me are the American-Mexican border wall. 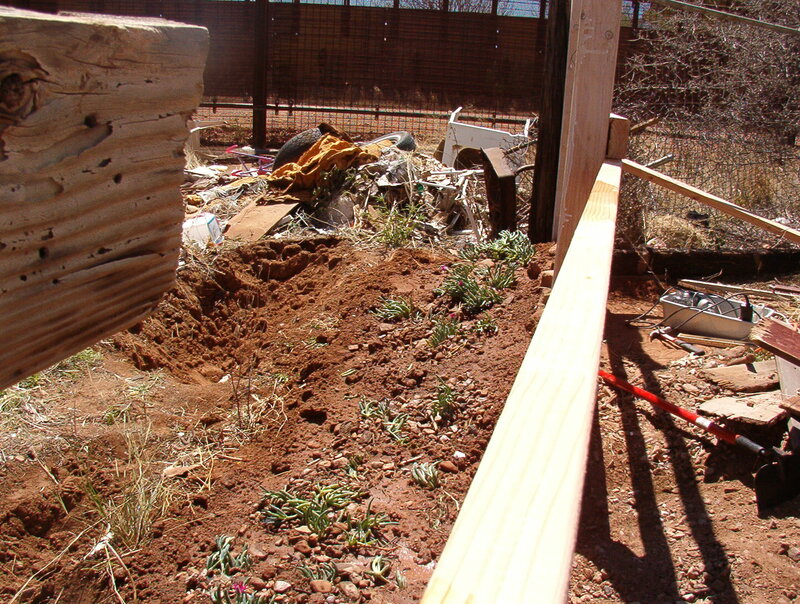 I put old boards on the ground behind my fence and covered with dirt - hopefully to prevent critters from digging into the yard. I planted Ice Plant, I can water it and it spreads as a blooming very succulent ground cover. Fence done by sunset. 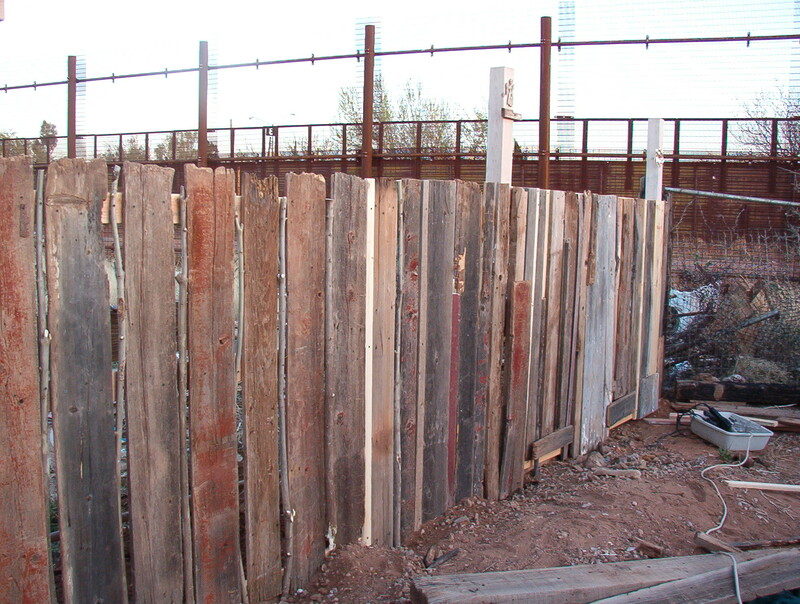 All recycled boards are very old and very dry. I evened off their tops and drilled holes and used screws rather than nails so the wood wouldn't split. In the spaces between boards are some sticks to fill the gaps. See the angel up there on post? The furthest post has a smashed salvaged pinwheel on it (no longer spins). Here she is. Flattened cookie cutter rescued from buried garbage. 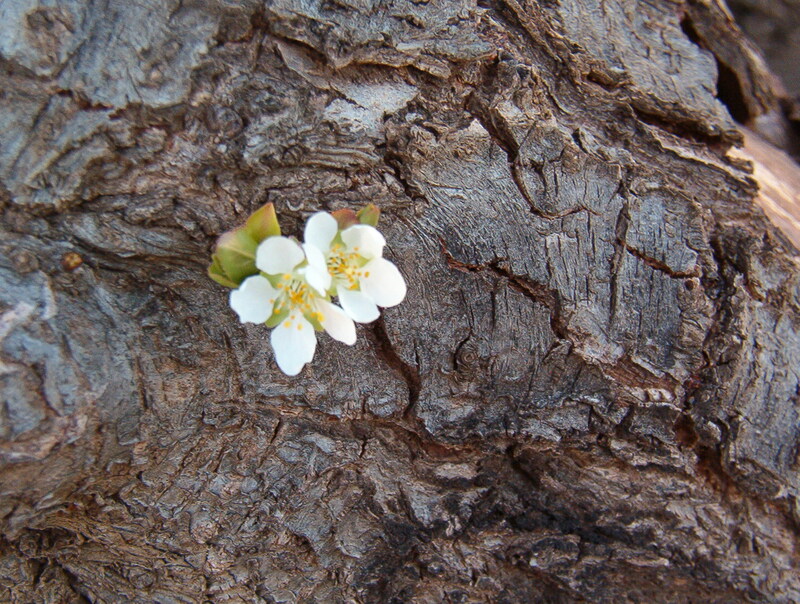 I am feeling neglectful of my blog — because I have been. My oldest brother was here last week for a visit and left today. 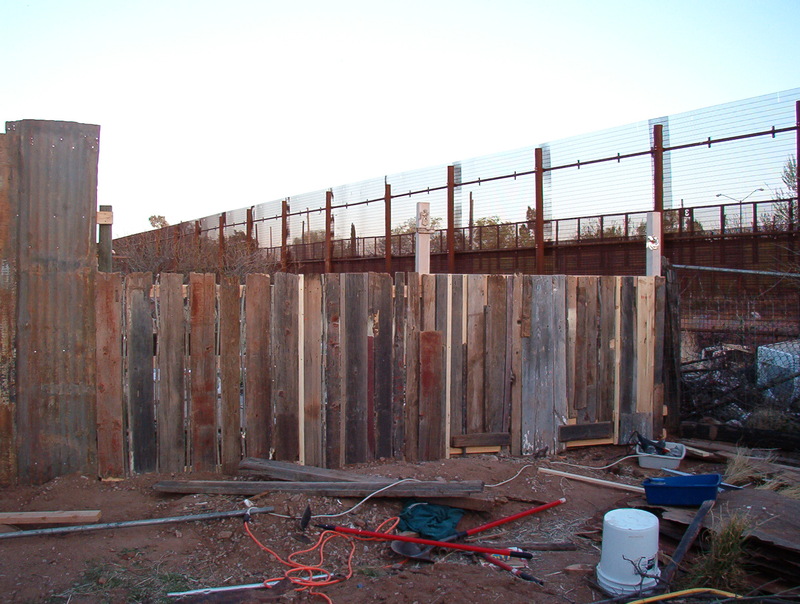 He got me started on a boundary-fence building project in my back yard so I can claim my positive space away from a very negative neighbor (and his piles and piles of stinking garbage). 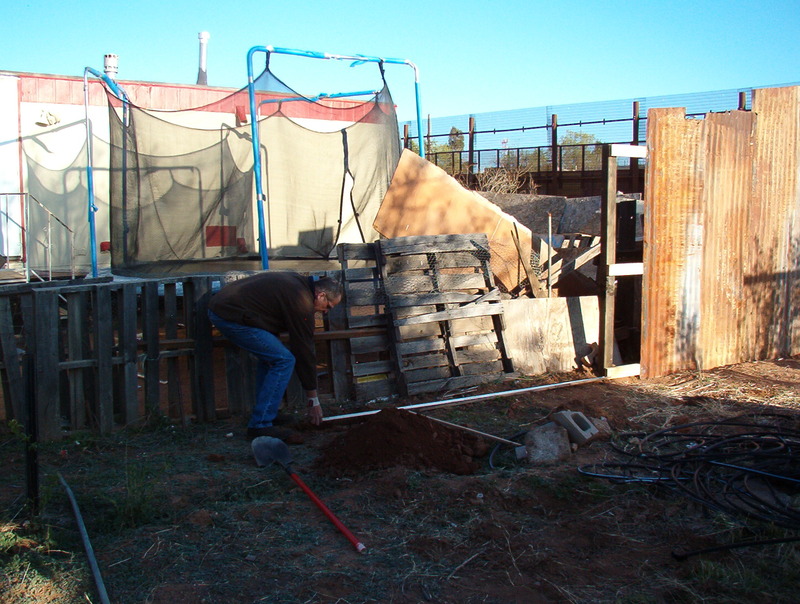 Budget is extremely limited, so am tearing apart a broken down shed in the back and reusing every scrap of material for the fence. It’s good to be outside in this warm spring weather. I’ll be able to sit in my back yard now and gaze at the sky as the brilliant moon glides westward. 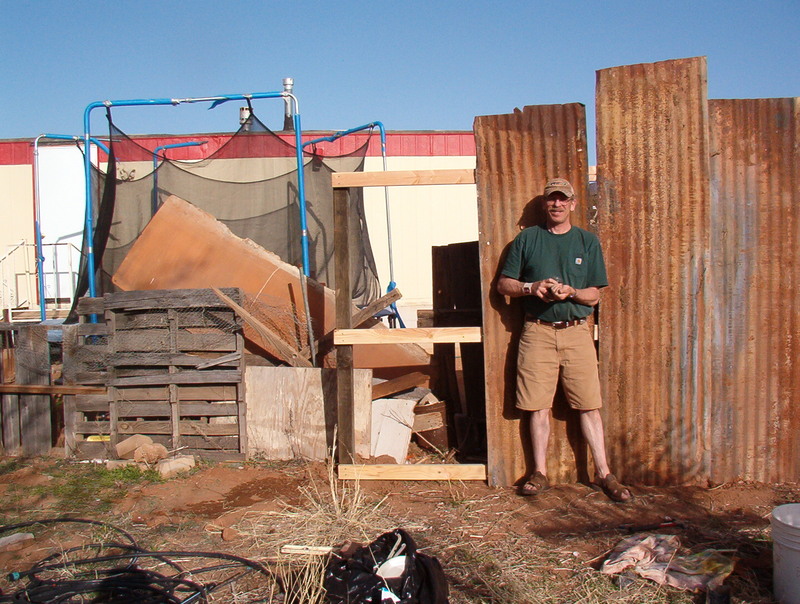 I plan to make some adobe blocks to add to my building project, and hope to create some garden space. Truth be told, I am battling sadness and sorrow. I refuse to call it ‘depression’ though I know that it is. I have been watching my dreaming time, and true to my post, +DEPRESSION EVEN GETS OUR DREAMING TIME, my dreaming and my sleeping are not ‘right’ — or at least not like ten years ago. That fact is hitting me pretty ‘close to the bone’, and is not something I can tell myself I am imagining. If, somehow, my dreaming-sleeping can improve, I will know it. I am hoping that I can find ways to be more peaceful with myself, more gentle, more accepting. I am working in that direction, anyway. So, I just wanted to make the effort to write something here, even something small. 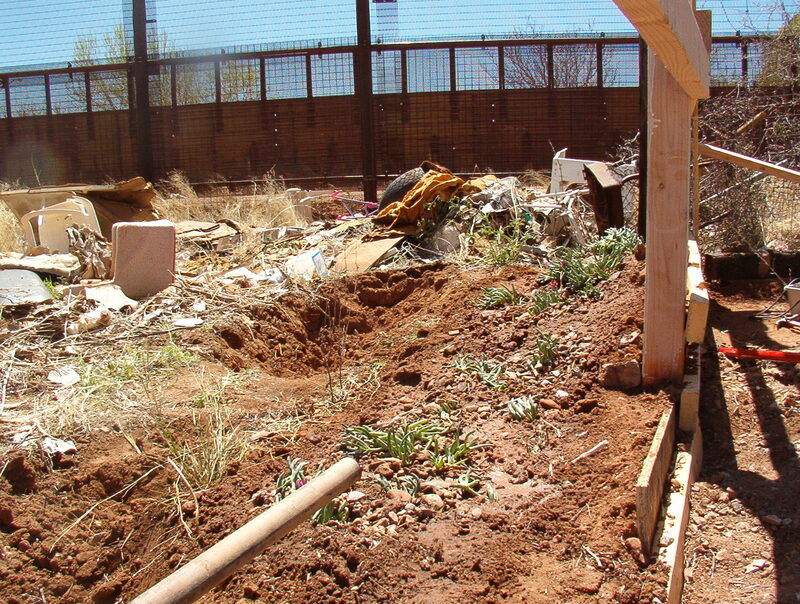 I’ll include a picture of what I am ‘walling off’ as I set my back yard boundaries, claiming some private, peaceful space for myself where I can be outside, which is good for me and healing. I’ll post more pictures as the job progresses! My east neighbor (family of seven) piles weeks' worth of stinky garbage until it falls through this shabby fence, and over it, into my back yard. 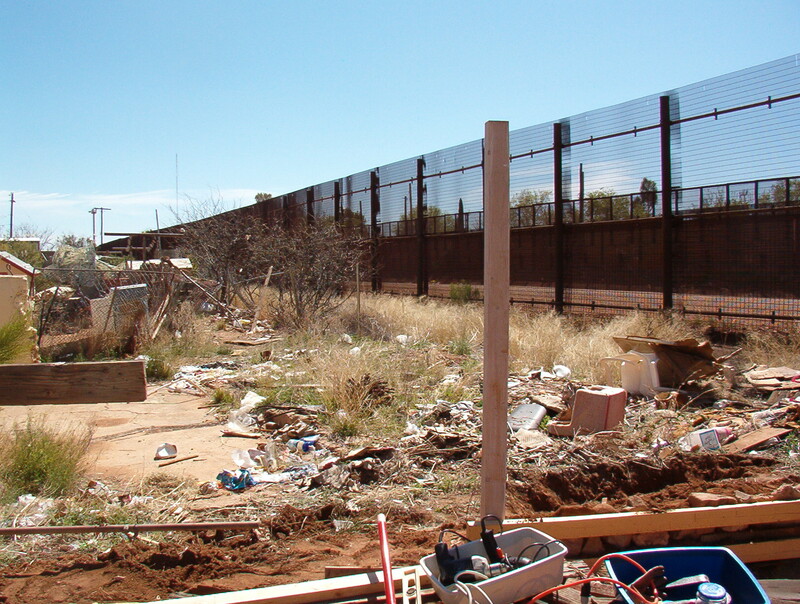 The American-Mexico border fence is visible - actually those are 2 parallel fences running alongside one another there. 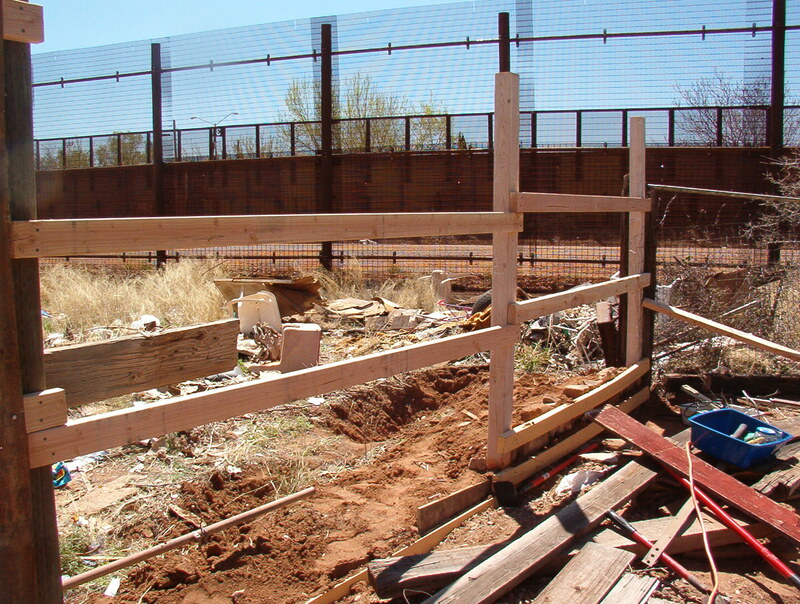 Well, my fence won't be fancy, but it's a 'step up' and will give privacy. My brother says Texas BBQ places love the rusted tin look! We priced new and it will be $200 to do 16 feet. I have enough rusted stuff to do 32 feet. Not to complain, but being poor is hard on projects - I am glad to have a large yard, and look forward to growing some food. 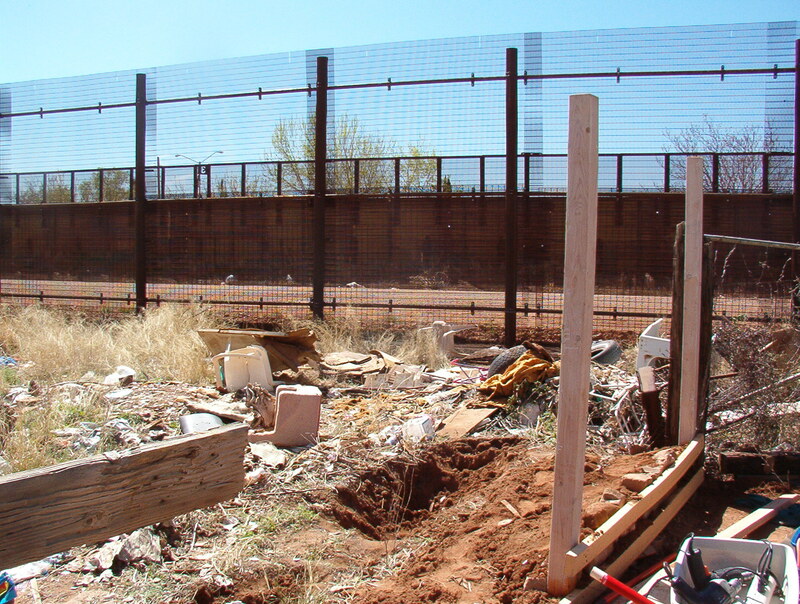 Laying out the line for holes to continue my own border wall - time for some clear boundaries here! Lots left to do, but even with my brother back at home in Illinois, I have confidence that I can do the rest even if it takes time to do it step by step as I can afford lumber and STUFF! I have known that what is called Rapid Eye Movement (REM) sleep is related to dreaming. I didn’t know until now that those of us who suffer from depression HAVE TOO MUCH REM sleep and not enough Non-REM sleep (NREM). Because I woke up at 2:30 this morning and cannot go back to sleep, I thought perhaps this might be the time to take a look at this topic. I have been thinking about this information regarding the link between depression and disturbances in dreaming from a ‘streaming’ Netflix film I watched. I found this synopsis of the program which describes another blogger’s reaction to the movie. “For anybody who watches Netflix, on instant view there is a documentary about sleep called “What Are Dreams?”. It’s a NOVA special. I watched it last night and heard this interesting tidbit. If you watch it the part I’m about to mention starts roughly about 12:30. Researchers used to think that dreaming happened in REM sleep only (where your eyes are darting about under your eyelids.) It turns out that is not true, that we all also dream in non-REM sleep. They know this from waking dream study participants up during both REM and non-REM sleep and asking them if they had been dreaming, and if so, what they had been dreaming about. Here’s the interesting part – when asked to describe their feelings coming out of both types of sleep, the words used to describe how they felt after non-REM sleep were positive. The words used to describe their feelings after REM sleep were negative. The researcher describing this says that these results are surprisingly reliable and consistent among a variety of participants. He mentions that the amygdala, a part of the brain, is highly activated during REM sleep, and the amygdala specializes in processing negative emotions. I have no idea of the connections between the potato/serotonin and any sleep science. But I do know the difference between a potato-night and a non-potato night for me. On a non-potato night I feel like I fall like a heavy rock into a dark place. I feel like I’ve had a heavy sleep, but not necessarily a deep or a sound sleep. More like something has descended on me and I can’t move. But a potato night for me feels almost like I’ve been out running errands mentally, and for the first few minutes after I’m up I feel slightly, barely disoriented. Then I feel strong and vibrant. “Sleep is an essential human function. Although the function of sleep has generally been regarded to be restorative, recent data indicate that it also plays an important role in cognition. The neurobiology of human sleep is most effectively analyzed with functional imaging, and PET studies have contributed substantially to our understanding of both rapid eye movement (REM) and non-rapid eye movement (NREM) sleep. In this study, PET [measures levels of brain activity] was used to determine patterns of regional glucose metabolism in NREM sleep compared with waking. “Impaired sleep and enhanced stress hormone secretion are the hallmarks of stress-related disorders, including major depression. The central neuropeptide, corticotropin-releasing hormone (CRH), is a key hormone that regulates humoral and behavioral adaptation to stress. Its prolonged hypersecretion is believed to play a key role in the development and course of depressive symptoms, and is associated with sleep impairment. I found this link to a Text of PowerPoint slides used by Dr. Leibowitz that includes some basic facts about sleep and dreaming. Are trauma and abuse survivors continually called to TRY to process overwhelming emotional memories? “Recent studies indicated a selective activation during rapid eye movement (REM) sleep of the amygdala known to play a decisive role in the processing of emotional stimuli. “Stress is usually defined as a state of disturbed homeostasis inducing somatic and mental adaptive reactions, globally defined as “stress response,” aiming to reconstitute the initial homeostasis or a new level of homeostasis after successful adaptation, i.e., allostasis –. There is wide consensus and support from preclinical and clinical data that stress exposure conceivably plays a causal role in the etiology of MD and depression-like disorders , , , . However, no specific mechanism linking stress exposure and stress response to the occurrence of MD has yet been fully elucidated. Growing evidence indicates several classical candidates, including neurotransmitters and neuropeptides, as well as conceptually novel immune and inflammatory mediators, as likely intermediate links between stress exposure, depressive symptoms, and MD , , –. …. Early attachment-relationship trauma and abuse changes us. When all is said and done, someday in the future, I believe researchers will arrive at a logical truth that I can see now — but they evidently cannot. The research that would feed into the ‘proof’ I would need to ‘prove’ what I already know is just beginning to emerge in the fields of neuroscience, attachment, and infant-child development. Severe early attachment-related trauma, abuse, and neglect change the way the brain forms in response to PAIN. The brain changes the development of circuits that process information related to the developing-SELF-in the world. The central processes of the brain involved in the see-saw process between rest and activity are directly tied to the nervous system process that relate to trauma-response and calm, relaxed connectedness – both to self and to others. There is — as will be shown — clearly definable trajectories of brain and nervous system changes that DID occur through early trauma within severely abusive people — including parents. In the present moment fields of study that are beginning to define brain changes in both Borderline Personality Disorder and in schizophrenia that demonstrate these patterns. As I said in my earlier post, +IS THERE ANY OTHER WAY FOR ME TO ‘BE’ IN THE WORLD?, the concept of ‘coping mechanisms’ does not apply to infant-toddlerhood trauma and abuse survivors. The term ‘defense mechanism’ does not apply in the OLD way of understanding, either. When early developmental trauma changes the molecular formation of the early body-brain, opportunities for CHANGE have to be considered in light of potential for conscious CHOICE. The more trauma was present during early development, the more developmental trajectories changed, the less potential there will be for consciously changing — at some magical later date — patterns of molecular operation in the body-brain. Wishful thinking does not abrogate this fact. Researchers in the fields I mentioned are rarely interested in strictly defining the consequences of severe early infant-toddler and young childhood abuse, let alone in stopping these traumas from happening. I therefore find that reading the research that might hold the answers I am looking for is like performing delicate life-or-death surgery with a butter knife. Defining the questions and looking for the answers about the causes and consequences of severe early trauma and abuse of infants and young children is an exercise in pandemonium. If I think in terms of the image of a triangle, I can see that research about so-called ‘mental illness’ and its so-called symptoms takes place near the point of the triangle’s top, nowhere near the ground zero supporting level of the line at the bottom where the causes and the consequences I am talking about actually take place — on the molecular level and in the very real world of unnecessary suffering that many, many people inhabit. The further and deeper toward the supporting bottom of this triangle we look, the more cause and consequence of early abuse and trauma are connected. There is nothing glamorous about the kind of research-related thinking it will take to discover this truth. Severe infant-toddler-young child abuse survivors currently exist within a category society considers to be ‘acceptable losses’. We are disposable and dispensable people. We were created within traumatic early environments that were themselves reflections of the kinds of circumstances those who abused us experienced in their own early lives. None of us are considered valuable enough to REALLY worry about. We are left to survive mostly on our own, sometimes with supposed assistance from out dated, obsolete theories and treatments. There is a gross mismatch between what our needs truly are and what we are told are our solutions. Nobody is going to figure this out in my lifetime. That doesn’t stop me from trying to understand the rock-bottom truth about what happened to my mother that created the monster she was to me. This post presents ‘pickings’ related to this topic. The stretch of thought that must happen to see how these bits of information relate to my topic takes effort. Nobody is going to do this work for us. All of us need to be encouraged to try. Again and again I have stated that from my point of view, informed compassion is the goal, not so-called forgiveness. Our abusers were very REALLY hurt little people at one point in their lives when it mattered the most. They in turn hurt us during our developmental stages that in turn hurt us the most. This doesn’t mean that we must continue to miss the point about what these changes were and what they possibly mean. “Current progress in the cognitive and affective neurosciences is constantly influencing the development of psychoanalytic theory and practice. However, despite the emerging dialogue between neuroscience and psychoanalysis, the neuronal processes underlying psychoanalytic constructs such as defense mechanisms remain unclear. One of the main problems in investigating the psychodynamic-neuronal relationship consists in systematically linking the individual contents of first-person subjective experience to third-person observation of neuronal states. We therefore introduced an appropriate methodological strategy, ‘first-person neuroscience’, which aims at developing methods for systematically linking first- and third-person data. The utility of first-person neuroscience can be demonstrated by the example of the defense mechanism of sensorimotor regression as paradigmatically observed in catatonia. Combined psychodynamic and imaging studies suggest that sensorimotor regression might be associated with dysfunction in the neural network including the orbitofrontal, the medial prefrontal and the premotor cortices. In general sensorimotor regression and other defense mechanisms are psychoanalytic constructs that are hypothesized to be complex emotional-cognitive constellations. In this paper we suggest that specific functional mechanisms which integrate neuronal activity across several brain regions (i.e. neuronal integration) are the physiological substrates of defense mechanisms. (Click to enlarge). Activation of the anterior insula is observed during an economic trust game in individuals with borderline personality disorder and healthy controls. Both groups show higher activation in response to stingy repayments they are about to make. 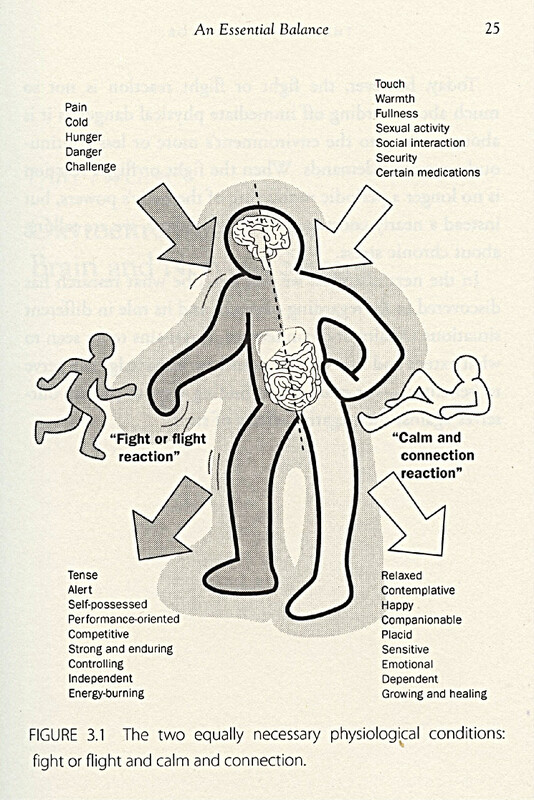 However, only players with the disorder have no differential response to low offers from an investor (upper left graph), indicating that they lack the “gut feeling” that the relationship (cooperation) is in jeopardy. (PhysOrg.com) — Schizophrenia may blur the boundary between internal and external realities by over-activating a brain system that is involved in self-reflection, and thus causing an exaggerated focus on self, a new MIT and Harvard brain imaging study has found. The traditional view of schizophrenia is that the disturbed thoughts, perceptions and emotions that characterize the disease are caused by disconnections among the brain regions that control these different functions. But this study, appearing Jan. 19 in the advance online issue of the Proceedings of the National Academy of Sciences, found that schizophrenia also involves an excess of connectivity between the so-called default brain regions, which are involved in self-reflection and become active when we are thinking about nothing in particular, or thinking about ourselves. Gabrieli added that he hopes the research might lead to ways of predicting or monitoring individual patients’ response to treatments for this mental illness, which occurs in about 1 percent of the population. Schizophrenia has a strong genetic component, and first-degree relatives of patients (who share half their genes) are 10 times more likely to develop the disease than the general population. The identities of these genes and how they affect the brain are largely unknown. The researchers thus studied three carefully matched groups of 13 subjects each: schizophrenia patients, nonpsychotic first-degree relatives of patients and healthy controls. They selected patients who were recently diagnosed, so that differences in prior treatment or psychotic episodes would not bias the results. The subjects were scanned by functional magnetic resonance imaging (fMRI) while resting and while performing easy or hard memory tasks. The behavioral and clinical testing were performed by Larry J. Seidman and colleagues at Harvard Medical School, and the imaging data were analyzed by first author Susan Whitfield-Gabrieli, a research scientist at the MIT Martinos Imaging Center at the McGovern Institute. The researchers were especially interested in the default system, a network of brain regions whose activity is suppressed when people perform demanding mental tasks. This network includes the medial prefrontal cortex and the posterior cingulate cortex, regions that are associated with self-reflection and autobiographical memories and which become connected into a synchronously active network when the mind is allowed to wander. Whitfield-Gabrieli found that in the schizophrenia patients, the default system was both hyperactive and hyperconnected during rest, and it remained so as they performed the memory tasks. In other words, the patients were less able than healthy control subjects to suppress the activity of this network during the task. Interestingly, the less the suppression and the greater the connectivity, the worse they performed on the hard memory task, and the more severe their clinical symptoms. “We think this may reflect an inability of people with schizophrenia to direct mental resources away from internal thoughts and feelings and toward the external world in order to perform difficult tasks,” Whitfield-Gabrieli explained. The hyperactive default system could also help to explain hallucinations and paranoia by making neutral external stimuli seem inappropriately self-relevant. For instance, if brain regions whose activity normally signifies self-focus are active while listening to a voice on television, the person may perceive that the voice is speaking directly to them. The default system is also overactive, though to a lesser extent, in first-degree relatives of schizophrenia patients who did not themselves have the disease. This suggests that overactivation of the default system may be linked to the genetic cause of the disease rather than its consequences. Affective dysregulation [emotional dysregulation]in borderline personality disorder (BPD) in response to both external stimuli and memories has been shown to be associated with functional alterations of limbic and prefrontal brain areas…. Response “processing in BPD subjects were in line with previously reported changes in anterior cingulate and orbitofrontal cortices, which are known to be involved in memory retrieval. However, BPD subjects displayed hyperactivation in these areas … The deficit of selective activation of areas involved in autobiographical memory retrieval suggests a general tendency towards a self-referential mode of information processing in BPD, or a failure to switch between emotionally salient and neutral stimuli. I believe that emotional pain is as physiologically real as is physical pain. I also believe that the pain of malevolent early infant-child trauma, abuse and neglect creates changes in the developing brain that result in changes in these pain-reduction brain areas. PUBLISHED: Psychiatry Res. 2007 August 15; 155(3): 231–243. “…converging evidence suggests that the social and emotional disturbances of BPD may have a basis in the functional neuroanatomy of social/emotional information processing, supported by fronto-limbic circuitry…. 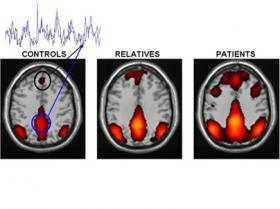 “BPD patients exhibit a number of changes in the structure and function of subcortical limbic areas. This includes volume loss and lower resting metabolism in the amygdala and hippocampus … some studies have found amygdala volume to be preserved … The functional effects of this limbic pathology include elevated amygdala responses to emotional stimuli …and episodic memory deficits … which may be due to intrinsic hippocampal pathology or secondary to amygdala hyperactivity …. “BPD patients also exhibit deficits in the structure and function of the rostral and subgenual subregions of the anterior cingulate cortex (ACC)…. The ACC may be a key neural region where altered processing of social and emotional information is expressed in some of the hallmark clinical signs of this disorder. The ACC is necessary for the maternal separation distress call of infant squirrel monkeys … and is activated in healthy adult humans both during the subjective experience of social rejection …and during effortful control of subjective emotional responses …. These experimental paradigms are related to clinical phenomena that are very characteristic of BPD, such as social attachment disturbance, rejection sensitivity and emotion dysregulation, respectively …. Help Make Children Count Too! A friendly reminder from Prevent Child Abuse New York to fill out your 2010 census form and, if applicable, include all of your children. According to The Annie E. Casey Foundation, children have been undercounted in every census since the first one in 1790. Since local communities rely on census information in planning for schools, child care, health, and other critical services, accurate data is essential for the proper availability and provision of community services. This Casey report explains why young children are so often missed in the census. The U.S. Census Bureau has developed a Parents and Child Care Providers toolkit, designed to help organizations that reach children communicate the benefits of census participation. The CDC analysis shows that deaths during pregnancy and childbirth have doubled for all U.S. women in the past 20 years. In 1987, there were 6.6 deaths for every 100,000 pregnancies. The number of deaths had climbed to 13.3 per 100,000 in 2006, the last year for which figures were available. A report called “Healthy People 2010” by the Department of Health and Human Services says that number should be around four deaths for each 100,000 pregnancies. Statistics for other highly industrialized countries show that the U.S. goal of four deaths for every 100,000 pregnancies is attainable. Great Britain, for example, has fewer than four deaths for each 100,000 pregnancies, Main said. Note that this is tucked way, way down on the CNN front page – way below the news about a few Prius owners and their problems, way, way, way below the Death of Peter Graves or the induction of Abba into some hall of fame. Decline and fall stuff always is. Funding for schools will drop $646 million over the next two years; the state will also cut more than $1 billion from health programs. Class sizes will rise. A prison will close, judges who die or retire won’t be replaced and funding for local sheriff’s offices will drop 6 percent. Only 250 more mentally disabled adults will receive money to get community-based services, in a state where the waiting list for such services numbers 6,000 and is growing. Employees will take a furlough day this year, the state will borrow $620 million in cash from its retirement plan for employees and future employees will be asked to retire later and contribute more to their pensions. States are between a rock and hard place, but refusing to raise taxes on the middle class and upper classes while stripping the most vulnerable of the basics is particularly charming – and fairly typical. I expect New York to do the same, if it can ever pass a budget. Meanwhile, in North Carolina, there’s some proof that there’s more fat to cut in state budgets – they don’t have to wholly screw the poor. This study, published March 15, 2010 in Proceedings of the National Academy of Sciences (PNAS), looked at the decision-making of participants taking part in a tennis ‘line judgement’ game while their brains were scanned using functional MRI (fMRI). +IS THERE ANY OTHER WAY FOR ME TO ‘BE’ IN THE WORLD? Is it possible to be very nearly a species of one? That’s how I feel today as I realize that nowhere in the ‘professional’ literature can I find much of a match for my infant-childhood experiences and how I became a changed being as a consequence. It seems very rare that researchers ever talk realistically (from my point of view) about the ‘freeze’ response when they talk about the ‘fight or flight’ response. I think about it as an infant-child abuse survivor because I suspect, more than anything else, it was the freeze response that I most often used in response to my mother’s abuse. Because I never knew anything OTHER than my mother’s abuse from the time I was born, there was never a time when the flight response came to me. There was one occasion I know of when I was a preteen that I actually ran from her. If I hadn’t done so that time, she would probably have killed me. The rest of the time, beginning in my infancy, I suffered, endured and persisted to live on in spite of my mother’s abuse. But what was going on inside of me during all these experiences of trauma? If I could not fight, and I could not escape her, was I forced to use this freeze response that nobody seems to want to talk about? I wonder about this today in regard to this image presented in the book by Dr. Kerstin Uvnas Moberg, The Oxytocin Factor: Tapping the Hormone of Calm, Love, and Healing. I located this excellent online source of articles on trauma, although I wish the page were more up-to-date! This is a modification of a key chapter (chapter 7 by the same name, pp. 115-123) in From Survival to Fulfillment: a framework for the life-trauma dialectic, by Paul Valent (1998). Philadelphia: Brunner/Mazel. Copyright© by Paul Valent. Valent presents a chart (about half way down his pages) that includes many aspects of the trauma response in detail: Table 2 – Survival Strategy Components. This article and table are useful, and worth reading, but Valent does not mention the freeze response, either. Something is missing. I don’t find what resonates with me in trauma-response writings because the authors of these writings are missing the point I need in their own thinking about trauma as it applies to many severe infant-early childhood abuse and trauma survivors. It presents typical theory and understanding about how particularly disorganized-disoriented insecure attachment is created and how it manifests in infants as well as in adults. This author, as do others, suggests that the biggest problem with insecure attachment happens when the early caregiver is the source of fear to an infant. The infant has no one to turn to for safety and security, and is left in a state of ‘fear without resolution’. Researchers and theorists assume that an infant will do everything in its power to try to get its earliest attachment figure to respond to it appropriately (according to the infant’s needs). What happens when absolutely nothing the infant can do – within its very limited natural abilities – works? What happens when the efforts of the infant to generate an appropriate response from its caregiver results in unpredictable, painful, terrifying and completely inappropriate responses to its efforts? From my point of view, I believe infants and very young children are forced to deal with this state of ‘fear without resolution’ — so that they can ‘go on being’ while in situations that present what other developmental experts call, ‘the unsolvable paradox’ – in ways that all but the most thorough-thinking and astute researchers miss completely. The infant is left in a frozen state of helplessness that is like suspended animation. This response shares some of the typical patterns of response assigned to the fight-flight response, but is inherently different. I do not agree with professionals that assign the term ‘coping mechanism’ to the processes that these severely abused infants and young children are forced to develop within their growing body-brain. Because my history of severe infant-child abuse happened on the far-far-from-normal range of parenting practices, I personally know that there is a whole other level to early trauma survival that even this information (above) does not address. In my thinking a CHILD is a far different entity than an INFANT is. Most all research statements, like this one, make the assumption that the two stages of being human are the same. When severe abuse occurs during fundamental, critical window-of-development stages, these so-called ‘coping mechanisms’ do NOT exist as such. What I experience is a life lived within a body-brain that was changed in its development as a direct consequence of the trauma I was forced to endure. I know that very real epigenetic changes occur. I know that nervous system-brain circuitry changes. SOMETHING ELSE results from early severe abuse. I even believe it is more than so-called dissociation. I believe it is more than the fight-flight response. It is more and different even from the freeze response as presented in these writings. I am left to explore from within what I can detect about how my body-brain operates in the world – and to try to determine the nature of my experience. I often return in my thoughts to the presentation of the unique child-woman in the movie “Nell.” I will never forget my response to this movie the first time I watched it. For the first time in my life I was presented with an image of a person who was more like me than anyone else I had ever imagined. And yet even this imagined character was far different than I was. This character had a bonded attachment at least at one point in her life to her twin sister. She had a bizarre mother, but not a mother that hated, tormented and abused her. Unlike me, this character did not seem bonded to the life of the natural world around her as I was growing up in Alaska. Yet the difference between this character and other people was portrayed adequately enough to let viewers know that there was something so different about Nell that she would never in ten million years ‘be like other people’. Thoughts of this movie comfort me now. If you’ve never watched it, please consider doing so. There are many realms of human experience that can only be presented through forms of art, and the state of being I am more familiar with than not is at least alluded to in this story. But the film presents no suggestion that Nell was remotely concerned with whether or not she was like other people or if others could understand her. How freeing that would be to me, if I could ever attain that state! Nell did not wish to be any other way than how she was in the world. My problems probably stem mostly from the fact that I do. The day I wrote my post on attachment, +HOW DOES THE SELF GET FORMED? HERE’S A WHOLE LOT OF IMPORTANT INFO, I found myself feeling the foreboding, dread and underlying terror that I then wrote about in a second post that day, +LIVING WITH THE AFTERMATH OF INFANT-CHILDHOOD TRAUMA AND TERROR. Today, after presenting my post on empathy, +EARLY ATTACHMENT ORIGINS OF EMPATHY, I find myself writing a second post today about the other one of the two major emotions that I chronically feel: overwhelming sadness. Often these two emotional states, the foreboding and the sadness coexist together at the same time. Yet, like the other day when the dread was very noticeable, the sadness seemed to be at bay. Today my experience is the opposite. I don’t feel the dread, I feel the sadness. It is this sadness that I wish to say a few words about right now. This sadness seems to fill the entire inside of my body, as if it exists in all of my cells. I experience it as I might a loud noise, or sound that cannot be ignored, stopped or controlled. It is overwhelming and pervasive. After having just written about empathy, and knowing that empathy operates as we consider another person’s circumstances and feelings, not our own, I realize that at this moment it provides me with a little comfort in knowing that there are other severe infant-abuse survivors who were never loved and were chronically abused who probably know exactly what I am talking about – because they also live with the reality of these feelings on an ongoing basis. There are times when I can be phony and pretend when I am interacting with others that I feel otherwise than they way I do. Any reprieve I might attain by distracting myself in one way or the other (including learning my piano) is completely temporary. I do know that during times over the past 9 years that I could look forward to seeing the man I love, and during every moment I was in his presence, these two feelings vanished completely. This was such an unusual and foreign experience for me because I had never had it before. Of course, I miss that reprieve – but it, too, was always temporary. I have been ‘diagnosed’ with reoccurring major depression, yet knowing that word could be assigned to how I actually feel does not give me comfort. I continually live and act in spite of this sadness as I would have to do with any other chronic pain. The pain of this sadness is very real. I was thinking a few minutes ago about the feeling of being hungry, and about what it might be like to live with that feeling all of the time while nothing I could do could possibly take it away. I always think that if I can just learn the right piece of information, it would act like a magical key that could unlock the solution that would end my experience of my chronic foreboding-dread and sorrow-sadness. Mostly I believe it is built into my body-brain in such a way that it is a permanent part of me. I assure anyone who does NOT experience these chronic states, they are a burden. I absolutely believe that 18 long years of being despised, abused, hated and maltreated would be enough to engrain these emotions into the cells of anyone’s body. Had this abuse NOT occurred during my infant-childhood growth and developmental stages, perhaps I could escape these emotions and peel away my experience of them as one can peel dried Elmer’s glue off of the palm of their hand. I think living with this kind of chronic consequence of severe infant-child abuse requires heroic effort. It requires courage. It requires a commitment to those who love us to not find a way to exit the body whose cells retain feeling memories of terror, overwhelming sorrow and trauma. Because my blog is concerned with the ongoing consequences a person acquires from having experienced severe abuse, trauma and maltreatment during their infant-childhood, knowing what empathy is and is not matters because we did not grow up – obviously – within an early environment where empathy was shown to us by our earliest caregivers. At least that’s what I have always assumed to be true until this moment as I prepare this post. My life as my mother’s victim was entirely distorted by her psychosis and mental illness. At this moment, a thought has occurred to me that seems almost too bizarre to print – but might also be close to the truth. Given that my mother did not seem able to operate from a conscious stance in regard to me, it might be possible that she WAS practicing her version of empathy with me. What if, as an infant and very young child she suffered so much that on her unconscious level she KNEW nobody empathized with her. What if her treatment of me was (bizarrely) intended to create a human being that COULD empathize with her early feelings? It is often suggested that a person like my mother splits off her own ‘badness’ and projects it out onto the chosen child so that this child becomes the container for the intolerable self hatred. That picture matches what I can see of my mother’s treatment of me as she hated and abused me from birth and for the next 18 years I lived in her home. What if, as a component of this sickness, she also was directly projecting out onto me her own experience of how awful it felt to be made to feel that BAD in the beginning of HER life? How better to create another human being who could empathize with her own feelings than to reenact patterns of abuse with me that would have the end result of making me feel as BADLY as she did? I was not human to my mother. I was the devil’s child. That much I know. I was not a separate, unique (wonderful) individual person to my mother. I was her projection of her own evil badness that somehow she internalized as a very young person herself. How better to make ME absolutely understand what this process of being bad, of being treated as a bad child could feel like than to force me to ALSO experience this reality? Of course making someone feel as badly as we do is NOT what the process of empathy is about. I think about a story my mother used to tell from her young adulthood. She went horseback riding one summer’s day and happened to be on a misbehaved horse that she evidently lacked the skill to control. The horse wanted to be in the barn, and solved its problem by racing across a meadow directly under the low lying branch of a tree. The end result, predictably, was that mother landed on the ground and the horse returned home. My mother used this experience as a reason that none of her children should ever ride horse. But more importantly, I want to use this event as an example of bizarre empathy potential. What if my mother needed to know that somebody else could directly empathize with what that ‘being knocked from the back of an out-of-control horse’ felt like to her? What if the only way she could guarantee that someone else could empathize with her was by reenacting the same event? What if she had the power to place her child, say me, upon the back of a similar run-away horse and recreate the experience for me — so that I might exactly know what she felt like on the day it happened to her? When I look at my mother’s interactions with me from this perspective, I could say that she knew EXACTLY how her treatment of me made me feel. This is twisted. There is no better word I can think of than twisted to describe how a mind could work like this. But twisted my mother’s mind was in regard to me – completely, fundamentally and absolutely. I would say the same thing about the perpetrator of maltreatment of any helpless victimized infant-child. At the same time, now that this strange perspective has entered my thinking about what my mother did to me, I understand that my thinking might be absolutely correct. To the degree that she retained within her own unconscious the terror, pain, misery, helpless hopelessness, and feeling of being overwhelmed as a victimized child (if, in fact, she was – we will never know her true infant-childhood circumstances completely), she certainly communicated to me through her treatment of me what it was like to grow a body-brain-mind-self that included abuse experiences that created similar feelings within me. She worked very hard to make sure that I felt as terrible as was humanly possible, and she did a very good job. My mother’s pattern of interacting with me was, of course, the opposite from the definition of empathy as “an emotional and behavioral response to another’s emotional state, which is similar in affective tone and is based on the other’s circumstances rather than one’s own.” Her only concern was for her OWN experience. She was not remotely concerned with mine as a separate ‘other’. She never recognized that I even existed as a person or had my own ‘circumstances’, let alone was separate and different from her self. NOTE: When I fell in love with a man that some people might say is like my father, what I now recognize is that they share the similar avoidant-dismissive attachment pattern/disorder that I am extremely familiar with – and that I resonate with! It is, thus, the attachment pattern that I internally and automatically recognize. Otherwise, as people, they are far different from one another. Did I unconsciously recognize this dismissive-avoidant attachment pattern because the feelings created inside myself in response to it are identical between the two relationships? Today I am presenting information from an article about how early caregiver attachment experiences intertwine with the later ability or disability to experience true empathy. This article is about ground breaking research on how empathy can be seen to operate within preschooler interactions. These empathy patterns persist over time. They do not appear out of nowhere. being able to discriminate the affective states of others, knowing how another feels, and vicariously experiencing the aroused emotion (Feshback, 1982; Underwood and Moore, 1982). + 1. Degree of accurate versus inaccurate perception of infant’s feelings by the mother. Projection of her feelings onto the infant is a form of inaccurate perception. + 4. Degree of accurate versus inaccurate perception of infant’s needs. Projecting her needs onto the infant is a form of inaccurate perception. + 11. Degree of intent to harm – threat/malevolent. Projection of an ulterior motive onto the infant that it has the intention of harassing the parent in any way is harmful. + 12. Degree of availability and accessibility to infant (investment – attention – two edged sword if the interactions are traumatic and threatening). [Due to the condition of my mother’s mind, she never had a genuine interaction with any of her children. Everything my mother thought, did or felt was from the “pretend mode” thinking place as she never left the magical world of her early childhood. She could not, therefore, experience empathy with anyone. Mean age of the 24 children in the study, split equally between girls and boys, was 48.7 months. Children were part of a longitudinal study at the University of Minnesota. – Is considerate and thoughtful of other children. – Is helpful and cooperative. – Can be trusted; is dependable. “It could be argued that the empathic behavior that we are seeing is a product of current parenting. Bowlby’s theory states explicitly that development is always a product of past history and current circumstances. Yet an infant that does not experience empathy gets a different brain. If a child’s circumstances had changed dramatically, an early history of secure attachment would not guarantee empathic responsiveness. And yet their brain did form secure circuits. less likely to respond empathically….. It would seem that this is all tied to their preoccupation with their own discomfort. This would cause them to have difficulties separating another’s distress from their own. I would suggest that there is a direct link between their inconsistent experiences and this boundary blurring, as well as with the preoccupation. Because of their preoccupation and blurred boundaries, they will not SEE another’s distress — so similar to the avoidant group, there would be nothing to respond TO. – communication patterns and rhythms.